For the second year in a row, I will be hosting my Family's Thanksgiving celebration. There is a lot of prep that goes into getting ready for the holiday, so the last thing I want to stress about is how I will decorate the table. 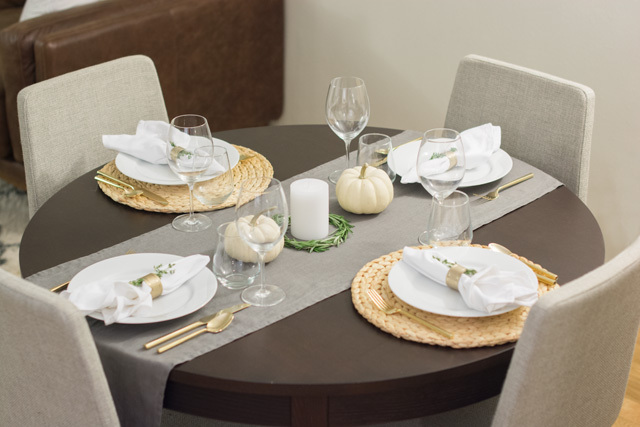 So when I was thinking about my table decor, I knew I wanted to keep things simple and easy and chose to keep the over all color palette more natural - white, green, and gray with touches of gold. Because the holiday is centered around the meal, I chose to incorporate different herbs being used in the kitchen. 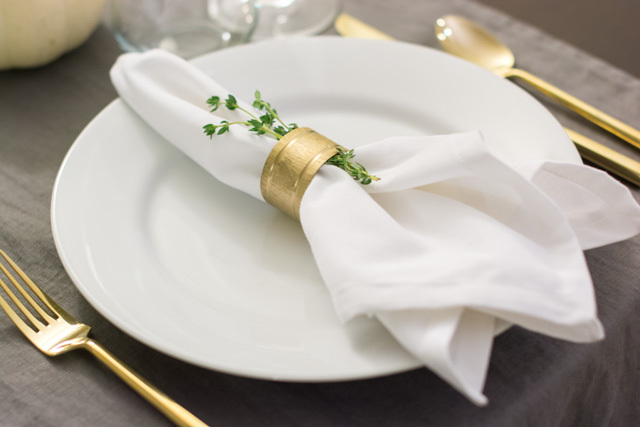 First, I incorporated thyme as an accent in the napkin rings to bring the green color into the place setting. 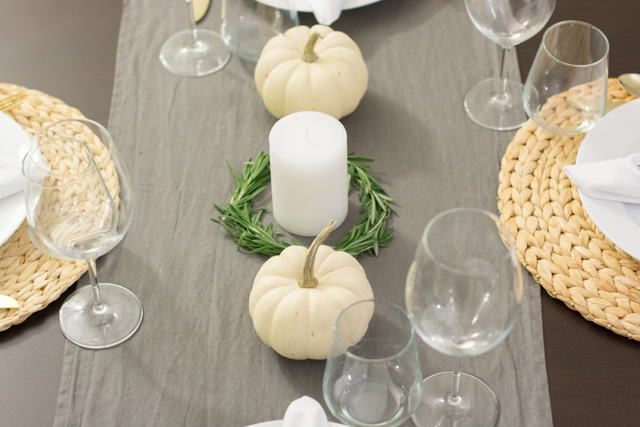 Next, at the center of the table, I used rosemary to create a wreath around the center candle. On either side of the center candle then, I set my favorite white pumpkins. I had originally thought of incorporating a bouquet of white and green flowers, but opted not to in the end. 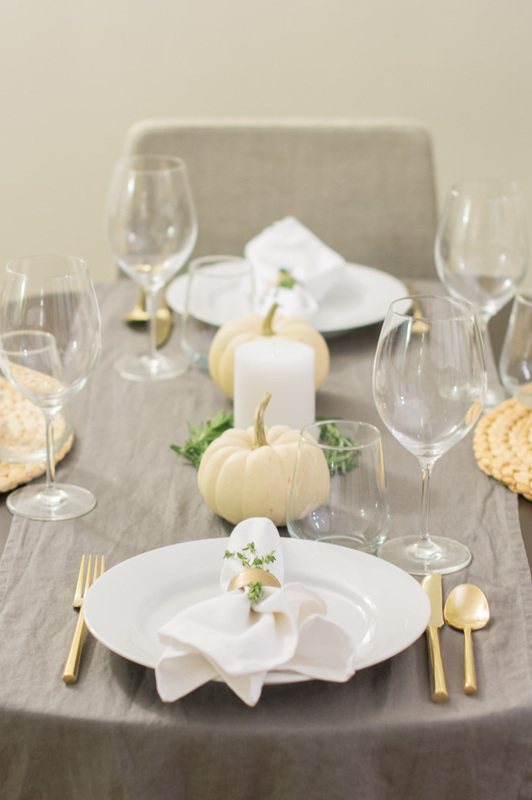 However, as another option for the center of your table, you could swap the pumpkins for small bouquets of flowers. I finished things off then with my gold silverware and white plates. 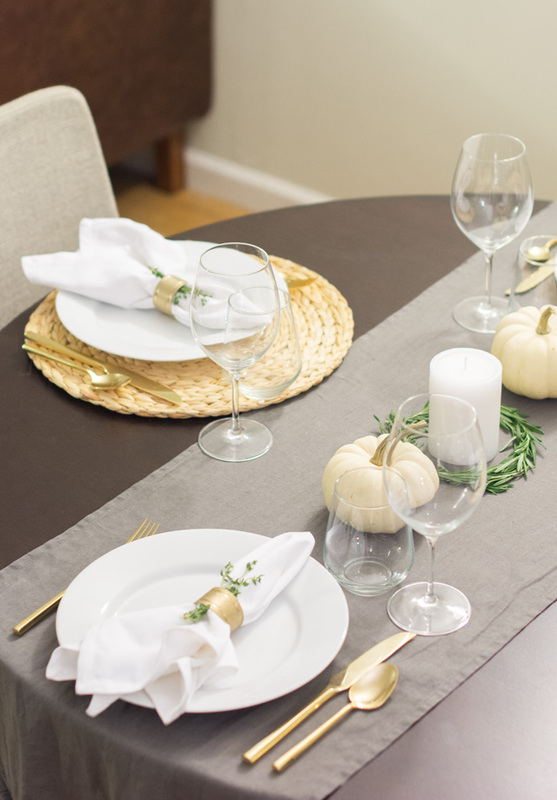 The end result is a simple, but pretty look that will be easy for me to set up on actual Thanksgiving and leave me with plenty of time to focus on other things.